Seligman (Isaac) Baer was a masoretic scholar, and an editor of the Hebrew Bible and of Jewish liturgy. He was born in Mosbach, the northern district of Biebrich, Sept. 18, 1825 and died at Biebrich-on-the-Rhine, March, 1897. He belonged to the school of Wolf Heidenheim, and had in his possession some of Heidenheim's original manuscripts and personal copies of his published works with handwritten marginal notes. Baer's monumental edition of the Jewish prayerbook according to the Ashkenazic rite, Seder Avodat Yisrael (Rödelheim, 1868), accompanied by a critical commentary, became the authoritative model for numerous editions published subsequently in the 20th century. His editions of the Jewish liturgy also include Kinnot for the fast of the ninth of Av. He never occupied an academic position, but was content with the office of Hebrew teacher to the Jewish community of Biebrich. In recognition of his services to the Commission for the History of the Jews in Germany, the honorary degree of doctor of philosophy was conferred upon him by the University of Leipzig. Shmuel of Nehardea or Shmuel bar Abba (Hebrew: שמואל or שמואל ירחינאה) was a Jewish Talmudist who lived in Babylonia, known as an Amora of the first generation; son of Abba bar Abba and head of the Yeshiva at Nehardea. He was a teacher of halakha, judge, physician, and astronomer. 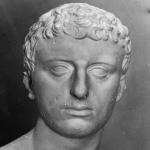 He was born about 165 CE at Nehardea, in Babylonia and died there in 254 CE. As in the case of many other great men, a number of legendary stories are connected with his birth (comp. Halakhot Gedolot, Giṭṭin, end; Tosefta Ḳiddushin 73a s.v. Mai Ikka). In Talmudic texts, Shmuel is frequently associated with Abba Arikha, with whom he debated on many major issues. He was the teacher of Rabbi Yehudah ben Yeḥezkel. From the little biographical information gleaned from the Talmud, we know that Shmuel was never ordained as a Tanna, that he was very precise with his words (Kiddushin 70a), and that he had a special affinity for astronomy: one of his best known sayings was that "The paths of heaven are as clear to me as the pathways of Nehardea." Abba Arikha (175–247) (Talmudic Aramaic: אבא אריכא; born: Abba bar Aybo, Hebrew: רב אבא בר איבו‬) was a sage who was born and lived in Kafri, Sassanid Babylonia, known as an amora (commentator on the Oral Law) of the 3rd century who established at Sura the systematic study of the rabbinic traditions, which, using the Mishnah as text, led to the compilation of the Talmud. With him began the long period of ascendancy of the great academies of Babylonia, around the year 220. He is commonly known simply as Rav (or Raḅ, Hebrew: רב‬). Rabbi Rachel Barenblat (a/k/a Velveteen Rabbi) serves Congregation Beth Israel in North Adams, MA. She holds an MFA from the Bennington Writing Seminars and is author of five volumes of poetry, among them 70 faces: Torah poems (Phoenicia, 2011) and Texts to the Holy (Ben Yehuda, 2018). A leader in Jewish Renewal (former co-chair of ALEPH, now a senior builder at Bayit: Your Jewish Home) she resides in western Massachusetts. She has blogged as the Velveteen Rabbi since 2003. Rabbi Samuel Barth is Senior Lecturer of Liturgy and Worship at the Jewish Theological Seminary of America. He was ordained at Leo Baeck College in London, following undergraduate studies in Mathematical Physics and Philosophy at the University of Sussex and the Open University (UK). He is completing doctoral work at New York Theological Seminary, exploring the use of Psalms in the interfaith context. Recently, Rabbi Barth served as a congregational rabbi in Austin, Texas, and Gloucester, Massachusetts. In the past, he served as dean and senior vice president for Academic Affairs at the Academy for Jewish Religion, a pluralistic seminary in Riverdale, New York, where he was instrumental in establishing the cantorial program and a second campus in Los Angeles. 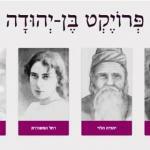 Rokhl Esther bat Aviḥayil is identified as a Jewish woman living in Jerusalem, the compiler or contributor to two collections of teḥinot published in Vilna, in the early 20th century. Little else so far is known of her. Bayit: A Jewish Home was founded in December 2017 by a group of rabbis and lay leaders seeking to become a collaboration engine for building "a radically inclusive and enlivening Judaism for all ages and stages. We aim to give you tools for building the Judaism that you yearn for, renewing Judaism so that your Judaism can renew you." Rabbi Michael Beals serves Congregation Beth Shalom in Wilmington, Delaware. He is a 1997 graduate of the Jewish Theological Seminary. Rabbi Beals is also a graduate of the University of Judaism in Los Angeles (MA Hebrew Letters), The American University in Washington DC (MA International Relations), and University of California at Berkeley (BA Political Science). He received the Raoul Wallenberg Fellowship at Hebrew University in Jerusalem. Beyond his accomplished education, Rabbi Beals has also worked in a variety of roles from serving as a management analyst developing multi-cultural training programs to working with young and old in programs of music therapy, Shabbat programming, and providing pastoral counseling and support to the sick and elderly and to the families that support them. 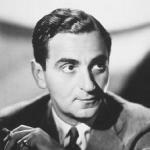 Irving Berlin (born Israel Beilin, May 23 [O.S. May 11] 1888 – September 22, 1989) was an American composer and lyricist, widely considered one of the greatest songwriters in American history. His music forms a great part of the Great American Songbook. Born in Imperial Russia, Berlin arrived in the United States at the age of five. He published his first song, "Marie from Sunny Italy", in 1907, receiving 33 cents for the publishing rights, and had his first major international hit, "Alexander's Ragtime Band" in 1911. Composer Douglas Moore sets Berlin apart from all other contemporary songwriters, and includes him instead with Stephen Foster, Walt Whitman, and Carl Sandburg, as a "great American minstrel"—someone who has "caught and immortalized in his songs what we say, what we think about, and what we believe." Composer George Gershwin called him "the greatest songwriter that has ever lived", and composer Jerome Kern concluded that "Irving Berlin has no place in American music—he is American music." Alan Scott Belsky is a graduate of Yeshiva of Flatbush, an Everett Fellow at the NHC Summer Institute (2007), an alumnus of Moishe House Silver Spring, MD, and a past fellow of Yeshivat Hadar (2011). A native of Brooklyn, New York, Stephen Belsky is a graduate of the Yeshiva of Flatbush, the State University of New York at Binghamton, and the Educators Program of the Pardes Institute of Jewish Studies in Jerusalem. He received semikha at Yeshivat Chovevei Torah, and while studying there held internships at Beth David Synagogue in West Hartford, Connecticut, and the International Rabbinic Fellowship. Before starting semikha, Stephen taught at the Schechter high school in Teaneck, New Jersey, and after ordination, he returned to education, teaching Jewish Studies in the middle and high school divisions of Yeshivat Akiva in Southfield, Michigan. In addition to classroom teaching, Stephen has taught and lectured both in his local community and in synagogues across the eastern United States. Asaph is identified with twelve psalms (no. 50 and 73-82). He is said to be the son of Berechiah, and an ancestor of the Asaphim. The Asaphim were one of the guilds of musicians in the Jerusalem temple. This information is clarified in the books 1 and 2 of Chronicles. In Chronicles, it is said that Asaph was a descendant of Gershom the son of Levi and he is identified as a member of the Levi'im. He is also known as one of the three Levi'im commissioned by King David to be in charge of singing in the Temple. In 1 Chronicles 6:39 David appoints a man named Heman as the main musician or singer and Asaph as Heman’s right hand assistant and the Merari at his left hand. Asaph is also credited with performing at the dedication of Solomon’s temple in 2 Chronicles 5:12. Abraham ben Ḥalfon was a Yemenite paytan whom we know almost nothing apart from their name and works. The research of Yosef Tobi indicates that he lived in the city of Aden in the second half of the twelfth century. Tobi writes, "To our best knowledge, Abraham ben Ḥalfon was the first Yemenite poet who contributed to the specific formulation of Yemenite poetry, thus beginning a poetic trend which in the course of time led to the uniqueness of Yemenite Hebrew poetry." Rebbi Neḥunyah ben HaQanah (נחוניה בן הקנה‎‎) was a tanna of the 1st and 2nd centuries CE. He was the teacher of Rebbi Yishmael ben Elisha. Neḥunya is considered to have been a chief transmitter of an esoteric Jewish lineage in antiquity, the Yordei Merqavah (Descenders to the Chariot). Neḥunyah was wealthy and had a large retinue of servants; but he was distinguished for his meekness and forgiving nature, to which he attributed his attainment of great age (Megillah 28a); two short prayers composed by him exhibit the same qualities (Yerushalmi Berakhot 4b). To him is attributed the daily prayer beginning אנא בכח, the initials of which form the forty-two-lettered name of God. He is also supposed by some to have been the author of the early qabbalistic work, the Bahir, and of the Sefer ha-Peli'ah. According to the statement of his contemporary, Rebbi Yoḥanan (Shevu'ot 26a), Neḥunya interpreted the entire Torah by the hermeneutic rule known as the "general and particular" ("kelal u-feraṭ"), which rule has also been adopted by his pupil Rebbi Yishmael as the eight of his 13 hermeneutic rules. Neḥunya is frequently mentioned in the Talmud; in Ḥullin 129b he is referred to as the antagonist of Eliezer and Joshua in regard to a halakhah (comp., however, Eduyot vi. 2). He said that the Pharaoh of the Exodus was rescued from the Red Sea, that he repented, that he afterward reigned in Nineveh, and that it was he who in the time of Jonah exhorted the inhabitants of Nineveh to repentance (Pirke De-Rebbi Eliezer §43.). Neḥunya is known also for his ethical saying: "Whoso receives upon him the yoke of the Torah, from him is removed the yoke of royalty and that of derekh erets (worldly concerns); and whoso throws off the yoke of the Torah, upon him is laid the yoke of royalty and that of derekh erets" (Pirkei Avot 3:6; Avot of Rebbi Natan recension B, 32. [ed. Solomon Schechter, p. 68]). Kalonymus ben Kalonymus ben Meir, also romanized as Qalonymos ben Qalonymos (Arles, 1286 – died after 1328) was a Provençal Jewish philosopher and translator. He studied philosophy and rabbinical literature at Salonica, under the direction of Senior Astruc de Noves and Moses ben Solomon of Beaucaire. He also studied medicine, although he seems never to have practiced it. He was from a prominent and distinguished Provençal Jewish family. The father of Kalonymus and Kalonymus himself each bore the title "Nasi" (president). Eleazar ben Killir, also known as Eleazar Kalir, Eleazar Qalir or El'azar HaKalir (c. 570 – c. 640) was a Hebrew poet whose classical liturgical verses, known as piyut, have continued to be sung through the centuries during significant religious services, including those on Tisha b'Av and on the sabbath after a wedding. He was one of Judaism's earliest and most prolific of the paytanim, Hebrew liturgical poets. He wrote piyutim for all the main Jewish festivals, for special Sabbaths, for weekdays of festive character, and for the fasts. Many of his hymns have found their way into festive prayers of the Ashkenazi Jews' nusaḥ. (via wikipedia). Titus Flavius Josephus (Greek: Φλάβιος Ἰώσηπος; 37 – c. 100), born Yosef ben Matityahu (Hebrew: יוסף בן מתתיהו‬, Greek: Ἰώσηπος Ματθίου παῖς), was a first-century Romano-Jewish scholar, historian and hagiographer, who was born in Jerusalem—then part of Roman Judea—to a father of priestly descent and a mother who claimed royal ancestry. Rabbi Isaac ben Moses Magriso of Turkey was the foremost compiler and contributor to the Me'am Loez (the important Ladino anthology of Torah commentary and related midrash aggadah in Ladino) after it's initial author, Rabbi Yaakov Cuti, died in 1732. Rabbi Aharon Berekhiah ben Mosheh ben Neḥemiah of Modena was an Italian Kabbalist who died in 1639. He was a pupil of Rabbi Hillel of Modena and of Rabbi Menahem Azariah of Fano. Isaac ben Shem Tov Cavallero (fl. 16th c.) was the author of Orden de Oraciones segundo el uso ebrèo en lengua ebraica y vulgar espanol (Venice 1552), the first siddur prepared for use by Sepharadim in Ladino throughout the Spanish-Portuguese diaspora. Members of the Cavallero family were active in Venice, Ferrara and Ancona mostly. Besides his work in publishing, Isaac Cavallero was a merchant with dealings in the Levant. Hai ben Sherira (or Hai b. Sherira (Gaon), Hebrew: האי בר שרירא; better known as Hai Gaon, Hebrew: האיי גאון, b. 939, d. March 28, 1038), was a medieval Jewish theologian, rabbi and scholar who served as Gaon of the Talmudic academy of Pumbedita during the early 11th century. He received his Talmudic education from his father, Sherira ben Hanina, and in early life acted as his assistant in teaching. In his forty-fourth year he became associated with his father as "ab bet din," and with him delivered many joint decisions. Elijah ben Solomon Abraham ha-Kohen (1650-1729) was a dayyan, distributor of alms, preacher, and rabbi in Ottoman Smyrna (Izmir, Turkey) from a distinguished rabbinic Jewish family. Rebbe Naḥman of Bratslav (Hebrew: נחמן מברסלב‎, April 4, 1772 – October 16, 1810), was the founder of the Bratslav (Breslov) Ḥasidic movement. Rebbe Naḥman , a great-grandson of the Baal Shem Tov, revived the Ḥasidic movement by combining the esoteric secrets of Judaism (the Kabbalah) with in-depth Torah scholarship. He attracted thousands of followers during his lifetime, and his influence continues today through many Hasidic movements such as Breslov Ḥasidism. Rebbe Naḥman's religious philosophy revolved around closeness to God and speaking to God in normal conversation "as you would with a best friend." The concept of hitbodedut is central to his thinking. Ben Sira, or Ben Sirach (Hebrew: בן סירא‬), also known as Shimon ben Yeshua ben Eliezer ben Sira (fl. 2nd century BCE) was a Hellenistic Jewish scribe, sage, and allegorist from Jerusalem. He is the author of the Book of Sirach, also known as the Book of Ecclesiasticus. He wrote his work in Hebrew, possibly in Alexandria, Egypt ca. 180–175 BCE, where he is thought to have established a school. 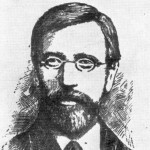 Meïr Leibush ben Yehiel Michel Wisser (March 7, 1809 – September 18, 1879), better known by the acronym Malbim (Hebrew: מלבי"ם‎), was a rabbi, master of Hebrew grammar, and Bible commentator. Jacob ben Judah Hazzan was a 13th-century Jewish legal codifier based in London, England. His grandfather was one Jacob he-Aruk (possibly Jacob le Long). In 1287 Jacob wrote Etz Chaim a ritual code in two parts, containing 646 sections respectively, dealing with the whole sphere of Halakah, and following in large measure Maimonides in the Mishneh Torah, though Jacob utilized also the Halakot Gedolot, the Siddur of Amram Gaon, and the works of Moses of Coucy, Alfasi and the tosafists. He quotes, furthermore, Isaac ben Abraham, Moses of London and Berechiah de Nicole (Lincoln). Some verses by him are also extant. David ben Yishai was the second king of the United Kingdom of Israel and Judah, reigning ca. 1010–970 BCE. While almost half of the Psalms are headed "l'David" and tradition identifies several with specific events in David’s life (e.g., Psalms 3, 7, 18, 34, 51, 52, 54, 56, 57, 59, 60, 63 and 142), most scholars consider these headings to be late additions and that no psalm can be attributed to David with certainty. 1 Samuel 16:15-18 describes David as a skillful harp (lyre) player and "the sweet psalmist of Israel." Mordechai Ben Yitsḥak haLevy was a 13th century rabbi and liturgical poet who emigrated from Iraq to Mainz in Germany. There, hiding in the Jewish quarter with the rest of the Jewish community of Mainz, he witnessed the terrible massacres of the Crusaders. Authorship of the popular piyyut for Ḥanukkah, Maoz Tsur, is often attributed to him on the basis of the acrostic, מרדכי found in it. Founded in 1999, the Ben Yehuda Project digitally transcribes Hebrew works in the Public Domain. Jessica Berlin is a Jewish farmer. Rabbi Phyllis O. Berman has, since the early 1980s, been a leading Jewish-renewal liturgist, prayer leader, story-writer, and story-teller. From 1994 to 2005, Berman was Director of the Summer Program of the Elat Chayyim Center for Healing and Renewal. 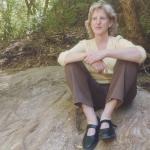 She is the co-author of Tales of Tikkun: New Jewish Stories to Heal the Wounded World (1996); A Time for Every Purpose Under Heaven: The Jewish Life-Spiral as a Spiritual Journey (Farrar Straus & Giroux, 2002); The Tent of Abraham: Stories of Peace and Hope for Jews, Christians, and Muslims (2006), and Freedom Journeys: Tales of Exodus & Wilderness across Millennia (2013). 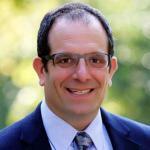 Tim Daniel Bernard is Director of Digital Learning and Engagement at the Jewish Theological Seminary. 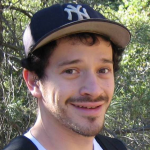 Previously, he was the Community Manager at Seeking Alpha and Grants and Communications Manager at PELIE, having taught Humash and Rabbinics at the Hannah Senesh Community Day School in Brooklyn for two years. He was also Kollel Fellow for a year at Yeshivat Hadar. Tim was ordained at JTS in 2009, where he also graduated from the Graduate School with an MA in Talmud & Rabbinics. He grew up in London and earned an undergraduate degree in Philosophy from the University of Bristol, which he followed with a year of learning at the Conservative Yeshiva in Jerusalem. While in Britain, he was involved for many years in the annual Limmud Conference, as both participant and organizer. Tim is an active member of Kehilat Hadar, where he gives regular divrei Torah (many of which can be found on this site), and co-chaired the Shavuot Retreat in 2011. He is married to Rabbi Ashira Konigsburg, with whom he enjoys traveling, hiking and visiting modern art galleries. Ellen Bernstein is a Jewish environmental activist and educator. In 1988, she founded Shomrei Adamah (Keepers of the Earth), the first national Jewish environmental organization. Shomrei Adamah grew organically out of an ecologically-centered arts and music seder for Tu Bishvat that she organized in Philadelphia along the banks of the Schuylkill River. Aryeh Bernstein is a fifth generation Chicago native, an editor of Jewschool.com, the coordinator of the Back to Basics Beginners Judaism Program at Mishkan Chicago, and an educational consultant for Jewish Council on Urban Affairs. While living in Jerusalem, he helped translate the Koren-Steinsaltz English Talmud edition. He has studied at Columbia, JTS, YU, YCT, and Yeshivat Maale Gilboa, and taught at Yeshivat Hadar, Drisha, Yeshivat Talpiot, the Hartman High School, Camp Ramah in WI, and elsewhere. He has led High Holiday services at Kehilat Hadar for 11 years. And he released a hip-hop album, called A Roomful of Ottomans. Born in New York in 1917, Morrison David Bial studied at Princeton Theological Seminary, served as a chaplain at Mitchell Field during World War II, and was ordained from the Jewish Institute of Religion in 1945. Bial spoke from pulpits in the United States as well as in Dublin, Glasgow, and London. He led a number of tours to Israel, and published thirteen books, including The Rabbi’s Bible: Torah and The Rabbi’s Bible: Prophets (began in 1966, co-authored with Solomon Simon), Liberal Judaism at Home: the Practices of Modern Reform Judaism (1971), and Your Jewish Child (1978). Bial spent over thirty years serving Temple Sinai in Summit, New Jersey, from 1953 until he became Rabbi Emeritus in 1985. From 1985–1995, Bial joined Temple Beth Shalom in Ocala, Florida, revitalizing its interfaith movement, and served as Rabbi Emeritus until his death in 2004. Paltiel Philip Birnbaum​ (1904–1988) was an American religious author and translator, best known for his translation and annotation of the prayerbook Ha-Siddur Ha-Shalem ([Complete] Daily Prayer Book), first published in 1949, and widely used in Orthodox and Conservative synagogues until the late 1980s. Birnbaum was born in Kielce, Poland and emigrated to the United States in 1923. He attended Howard College and received his Ph.D. from Dropsie College. He served for several years as the principal of a Jewish day school in Wilmington, Delaware, and directed Jewish schools in Birmingham, Alabama, and Camden, New Jersey. He was a regular columnist and book reviewer for the Hebrew-language weekly, Hadoar. He also served on the board of directors of the Histadrut Ivrit b'America, an American association for the promotion of Hebrew language and culture. Rabbi Barry Block is the rabbi of Congregation B’nai Israel in Little Rock, Arkansas. A Houston native, Rabbi Block was ordained in 1991 at the New York Campus of Hebrew Union College-Jewish Institute of Religion, after having been awarded the degree, Master of Arts in Hebrew Letters, at the Los Angeles Campus in 1988. Rabbi Block previously served Temple Beth-El in San Antonio, Texas, beginning in 1992 as Assistant, then Associate, Rabbi; and as Senior Rabbi from 2002 to 2013. Rabbi Block has served Reform Judaism nationally and regionally as a member of the Board of the Central Conference of American Rabbis and Chair of its Resolutions and Nominating Committees, and as President of the Southwest Association of Reform Rabbis. For 21 years, he represented his colleagues throughout Texas and Oklahoma as Rabbinic Advisor of the Union for Reform Judaism’s Greene Family Camp for Living Judaism in Bruceville, Texas. He is a member of the President’s Rabbinic Alumni Council of Hebrew Union College-Jewish Institute of Religion. 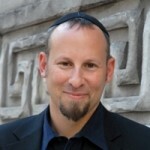 Rabbi Block is the author of "Unplanned Fatherhood,” slated for 2013 publication by CCAR Press in The Sacred Encounter: Jewish Perspectives on Sexuality. Rabbi Block is Past Board Chair of the Planned Parenthood Trust of South Texas. In 2013, he completed long service to Methodist Healthcare Ministries, the largest non-governmental provider of indigent health care in south Texas, and Methodist Healthcare System, the largest hospital group and second largest private employer in San Antonio. His service there included several terms as Chair of the Healthcare System’s Ethics and Compliance Committee. In 2012, Human Rights Campaign bestowed its Equality Award upon Rabbi Block at its annual gala in San Antonio. 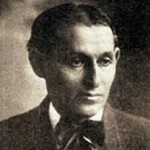 Born in Virbalis, Lithuania (then considered part of Russian-ruled Poland), Yehoyesh (also, Yehoash) was the pen name for Shloyme (Solomon) Blumgarten (also Bloomgarden, 1872-1927), a Yiddish-language poet, scholar and Bible translator. He emigrated to the United States in 1890 and settled in New York. For a decade he was a businessman, but wrote full-time starting in 1900 when he entered a sanitarium for tuberculosis. Yehoash "is generally recognized by those familiar with this literature [Yiddish], as its greatest living poet and one of its most skillful raconteurs", according to a New York Times book review in 1923. His output included verse, translations, poetry, short stories, essays and fables in Yiddish and some articles in English. His poetry was translated into Russian, Dutch, Polish, Finnish, German, Spanish, English and Hebrew. He was responsible for translating many works of world literature into Yiddish, including Longfellow's "Hiawatha" and a very popular translation of the Bible. His version was hailed as a contribution of national significance and perhaps the greatest masterpiece in the Yiddish language. His two volume edition became a standard work for Yiddish speaking homes throughout the world. Joshua Boettiger is the rabbi and spiritual leader of Temple Emek Shalom in Ashland, Oregon. Prior to this, he served as the rabbi of Congregation Beth El in Bennington, Vermont. He is a graduate of the Reconstructionist Rabbinical College in Philadelphia, and is a Rabbis Without Borders Fellow. 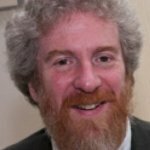 He has served on the Boards of Rabbis for Human Rights North America, Vermont Interfaith Power and Light, and was the Vermont coordinator of the Jewish Justice Initiative. Rabbi Boettiger teaches Jewish meditation on a weekly basis and leads twice yearly silent retreats with his wife, Rabbi Vanessa Boettiger. He has taught at Williams College, Southern Vermont College, and been a scholar in residence at different locations around the country, teaching on topics ranging from modern Jewish thought to biblical Hebrew to the history of Jewish poetry. Rabbi Boettiger has an abiding interest in sacred spaces and continues to work as a builder of ritual structures – from sukkahs and chuppahs to prayer/meditation spaces. 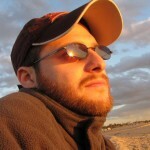 He has published articles in Parabola, Zeek and other online magazines. Ben Zion-Bokser was born in Lubomi, Poland, and emigrated to the United States at the age of 13 in 1920. Bokser heard Rabbi Abraham Isaac Kook speak in New York in 1924 and became an avid student and great proponent of his teachings. Bokser attended City College of New York (BA, 1928) and Rabbi Isaac Elhanan Theological Seminary (Yeshiva University), followed by the Jewish Theological Seminary of America (ordained, 1931) and Columbia University (PhD, 1935). He taught for many years as an Adjunct Professor of Political Science, Queens College, City University of New York. His first pulpit was Congregation Beth Israel in Vancouver. He served as the rabbi of Forest Hills Jewish Center in Queens, New York starting in 1933 and remained in that position for the balance of his career, more than fifty years. He served a two-year period as a United States Army chaplain during World War Two, stationed at Camp Miles Standish in Massachusetts. During WWII, he organized aid for Jewish soldiers. Bokser was an advocate of social justice, taking a position in favor of the construction of a housing project for the poor in the middle class community of Forest Hills. 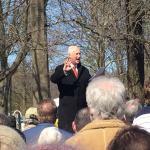 He fought against the death penalty in NY state. Jonah Sampson Boyarin is an educator, writer, and Yiddish translator, and a member of Jews for Racial and Economic Justice. His preferred genres are tkhines and science fiction, go know. Reuven Brauner is a writer in Ra’anana, Israel. He has published numerous e-books of Jewish texts which are available for download at Tzvee Zahavy's website, halakhah.com. Rabbi Daniel S. Brenner is chief of Education and Program at Moving Traditions, a Jewish non-profit organization which runs educational program for teenagers. From 2007-2011, Brenner was the founding executive director of Birthright Israel NEXT. He directed graduate-level training programs at Auburn Theological Seminary and at CLAL- the National Jewish Center for Learning and Leadership, both in New York City. In 2009, he was named by Newsweek Magazine as one of the fifty most influential rabbis in America. Bradley Burston (Hebrew: בראדלי בורסטון‎) is an American-born Israeli journalist. Burston is a columnist for Haaretz and senior editor of Haaretz.com. He writes a blog called "A Special Place in Hell". Rabbi Simcha Daniel Burstyn is a rabbi, gardener, permaculturalist, teacher, singer, spiritual director, peace activist. He has been a member of Kibbutz Lotan for 22 years, the only kibbutz that is also an ecovillage. In the Kibbutz’s Center for Creative Ecology, Rabbi Simcha teaches courses in Peace and Social Justice and Jewish Approaches to the Environment.